Reykjavik is a must-visit destination for those looking to experience majestic landscapes along with energetic urban life. The capital of Iceland, this Scandinavian locale is unlike any other city on Earth, where you can hike its ancient landscape like a Viking, soothe tired muscles in its natural mineral baths and then head downtown for a smoked shark dinner and drinks. A Frozen Vanilla Vodka Concoction is the perfect drink to enjoy during your time in Reykjavik, since it takes inspiration from a popular vodka in the country that's infused with vanilla and created from glacial waters. To make an indulgent twist on the drink, mix together vodka, vanilla extract, a scoop of vanilla ice cream and ice in your Margaritaville® Frozen Concoction Maker®. 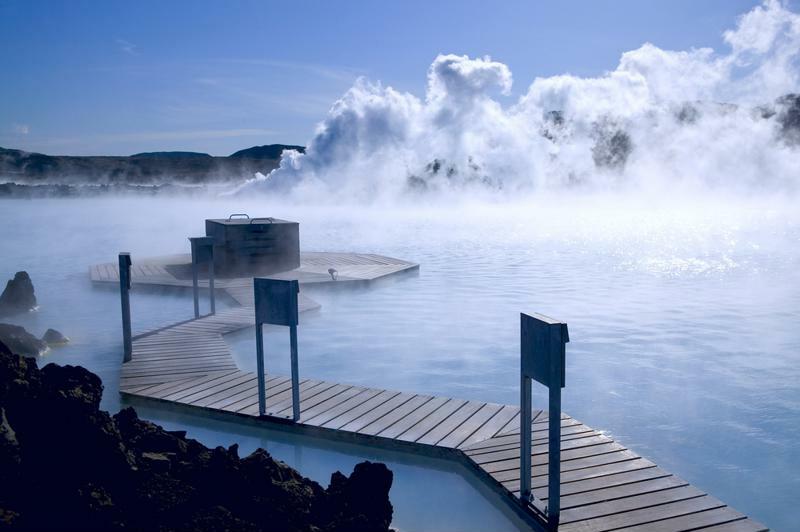 Warm up this winter in Iceland's natural mineral pools. Bavaria may be one of the best places to take in the wonders of the holiday season, with the German state's snow-capped mountains and charming villages. Oktoberfest originated here, so you can be sure that your getaway in Bavaria will be a festive one! After marveling at medieval towns and the fairy-tale-perfect Neuschwanstein Castle, settle in at a tavern for a hearty traditional German meal. For a festive accompaniment to your dinner - or to keep the party going 'til the sunrise peeks over the Alps - whip up a Frozen Cranberry Beer Concoction that celebrates the region's libation of choice. Just mix together 2 cups of beer, 1/2 cup cranberry juice and ice in your Margaritaville® Frozen Concoction Maker® and enjoy. 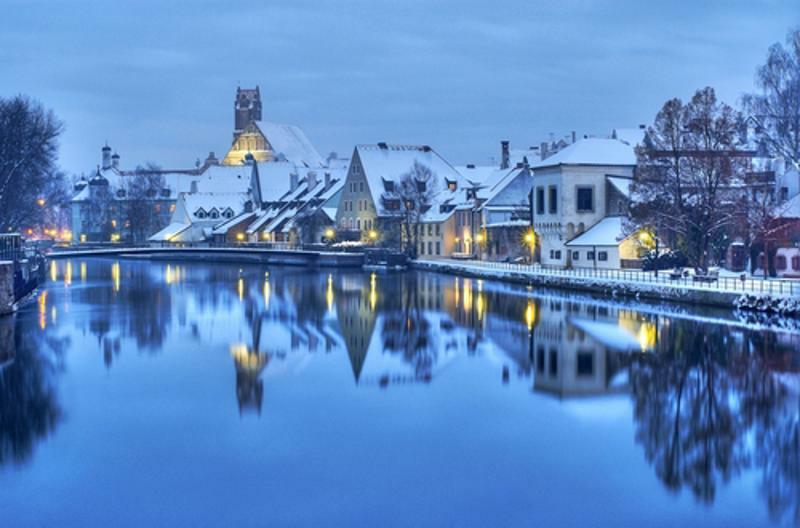 Celebrate the holiday season in beautiful Bavaria. Vail, Colorado, is a picturesque and vibrant ski village at the base of the towering Vail Mountain. When the locals aren't hitting the slopes, they're catching up at locally-sourced food spots and hearthside bars, enjoying the simple pleasures in life, from the gorgeous views past their doorsteps to one another's company. Whether you're keen to hit the powder or prefer to tie on your bathrobe instead of the laces of your ski boots, take a cure and indulge in the warmth of a quaint bed-and-breakfast or slope-side hotel with a spiked hot cocoa in hand. To make your perfect winter concoction, mix 6 ounces brewed hot cocoa, 2 teaspoons chocolate sauce, a cup of milk, ice and a splash of whiskey for in your Margaritaville® Frozen Concoction Maker® that's sure to warm you up! A jewel of Scandinavia, Copenhagen is a fairytale city that cannot be missed. The Danish are famous for their concept of "hygge," untranslatable in English but equivalent to feelings of coziness and togetherness during the short, dark and cold winter days. During the holiday season, Copenhagen's picture-perfect cobblestone streets are adorned with holiday markets like sparkling ornaments on a tinsel-lined tree, and bundled-up shoppers are sure to be seen gazing at gifts with a warm mug of gløgg in hand. This spiced and mulled wine drink collects of all the flavors of the season for a true holiday treat. To give grog a frozen concoction twist, mix 6 ounces red wine, 1 ounce brandy, 1 teaspoon cinnamon, 1/2 teaspoon nutmeg, 1/4 teaspoon ground cloves and ice in your Margaritaville® Frozen Concoction Maker®. Pour into a mug, garnish with a cinnamon stick and orange wedge and enjoy.